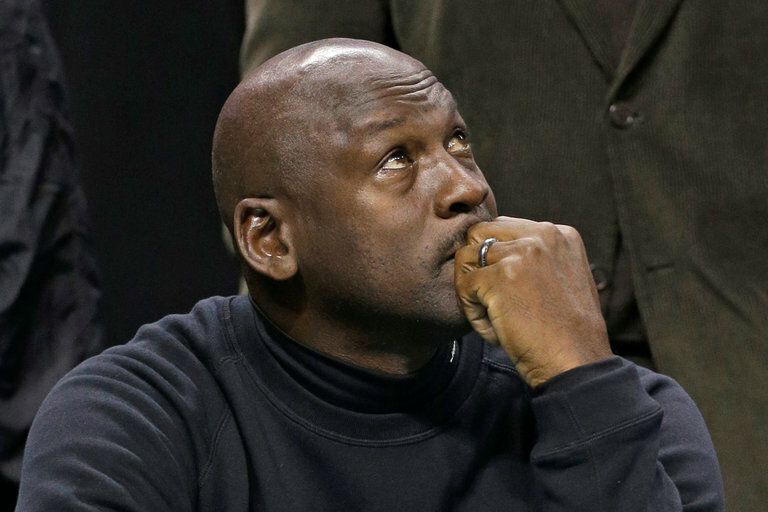 Michael Jordan announced Monday that he was donating $1 million each to the NAACP Legal Defense and Educational Fund and the Institute for Community-Police Relations. Michael Jordan, who achieved fame as perhaps the greatest player in N.B.A. history, spoke out on Monday against the recent spate of killings committed by and against police officers. The statement was consistent with Mr. Jordan’s reputation for being cautious when it comes to issues in the public arena. In a statement released to The Undefeated, an ESPN website dedicated to the intersection of race and sports, Mr. Jordan, the owner of the Charlotte Hornets, North Carolina’s N.B.A. team, said he was “deeply troubled” by recent violent episodes in places like Baton Rouge, La., Minnesota and Dallas.